* Why Is There A Crack that Circles the Earth? Today's Real Science Radio program is the seventh in our continuing series, RSR's List of Answers to Hydroplate Theory Objections. Mechanical engineer Bryan Nickel talks with Bob Enyart about Michael Oard's objection to the global manner in which Walt Brown’s flood model presents the failure of the Earth's crust. Mr. Oard's critique of Dr. Brown's theory appears on creation.com, the (fabulous) website run by CMI, Creation Ministries International. If pressure in a subterranean chamber (the great deep) built up, Michael questions why the crust would "burst in a linear fashion" as explained by the HPT, and "not through one or several openings... as one would expect." Nickel explains the answer to Michael's objection using super slow-motion YouTube videos, and based on the laws of physics, and as found in Walt's book, In the Beginning. Also, Bryan clarifies Oard's statement, making it clear that the HPT does not claim that the fountains burst forth "through the MOR [mid-oceanic ridge]" but that before the flood, there was no MOR! Rather, the globe-encircling mid-oceanic ridge is a scar left over from the fountains and roughly traces the crack. 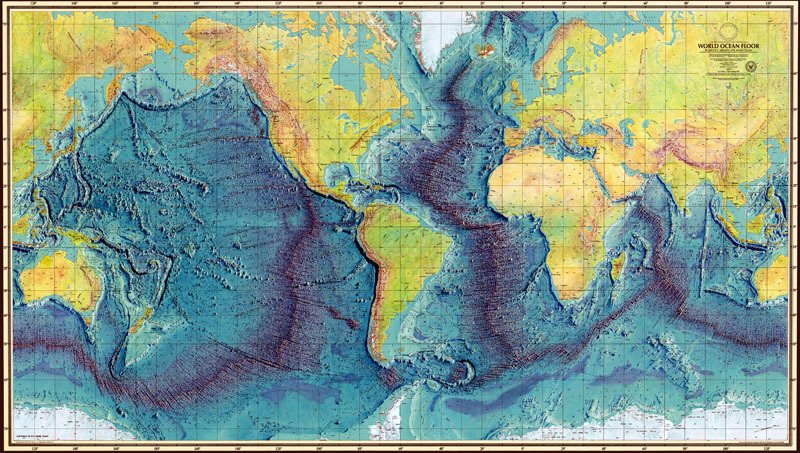 The mid-oceanic ridge wraps around the globe like a seam on a baseball. Click the image for Dr. Walt Brown's description. After the fountains eroded away the crust, isostatic rebound caused the mantle to rise. Because rock is weak in tensile strength, the mid-oceanic ridge displays tension cracks along its length and perpendicular to its main axis. Blu-ray, 2-DVD Set, Stream or HD Download! 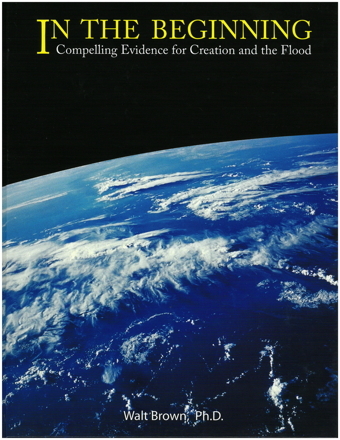 Real Science Radio co-host Bob Enyart presents the scientific evidence for Dr. Walt Brown’s model of the global flood, along with the relevant biblical material. Enyart also discusses Brown's opponents and contrasts both the vapor canopy and catastrophic plate tectonics with the hydroplate theory. The Blu-ray disc contains all parts on one disc. And for now, save $10 with our special introductory pricing which discounts the $50 retail price to $39.99! - that the continents do not fit together well against each other, as presented in the Pangaea hypothesis, unless you shrink Africa by 30%, and make other unjustified manipulations. 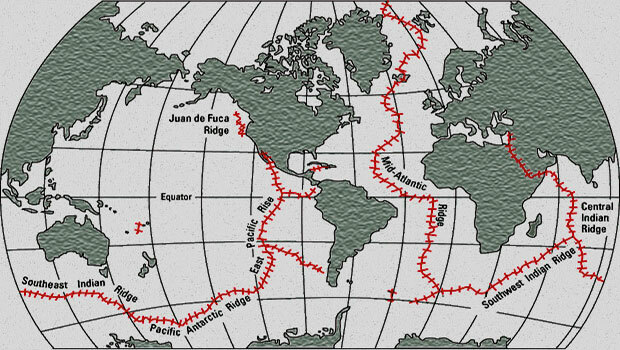 - that the jigsaw shape of the continents does fit well against the Mid-Atlantic Ridge. - what formed the 46,000-mile long Mid-oceanic Ridge? - that the Atlantic Ocean is relatively shallow, whereas the Pacific is relatively deep. - what formed the deep Pacific trenches including the 36-thousand foot-deep Marianas Trench. - that the fountains of the great deep launched the solar system's asteroids and comets. - that Mars is not the source of Antarctica meteorites, but they were launched from Earth. - that the debris launched from the Earth beat up the moon, which helps to explain why the near-side has suffered much greater impactors. - that NASA discovered the earth-like composition of comets, including that they contain olivine, a very common class of Earth minerals, confirming an inherent prediction of Dr. Walt Brown's flood model. - that NASA found salt on the asteroid Ceres! - All of Real Science Radio's HPT resources collected over at rsr.org/global-flood.